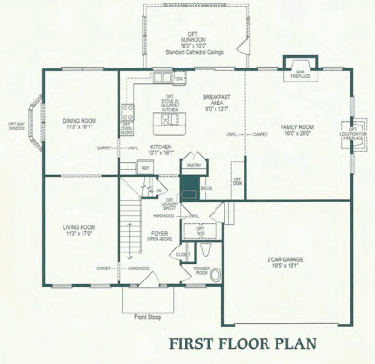 Plan: Oakmont by Hour Homes Inc.
One level living! 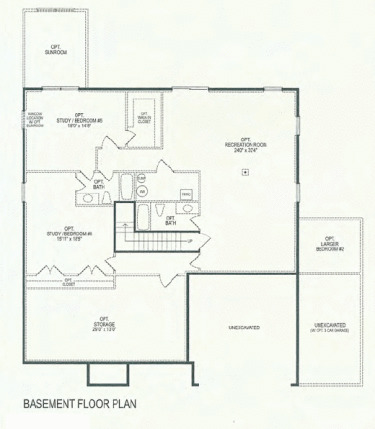 First floor master and 2 other bedrooms, study. 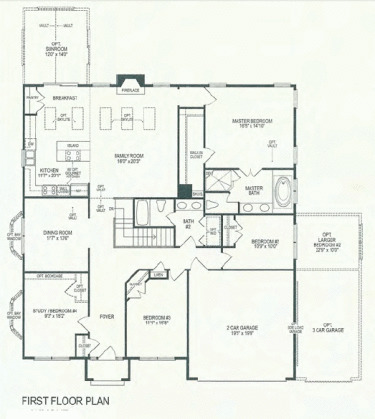 Formal dining room, each in kitchen with center island in kitchen with Large pantry. Gorgeous front with reverse gable and covered entryway. 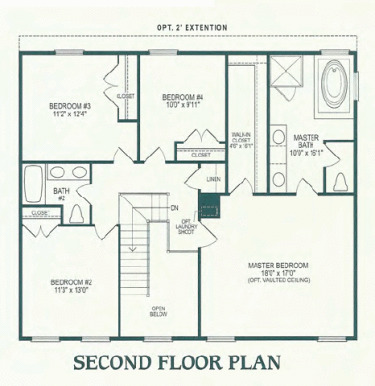 3 bedrooms, 2 bathrooms, large family room, 2 car garage plus huge 2,180 sq. ft. unfinished basement. Also can include optional 3 car garage.